We love all things Brussel Sprouts and this one was a real winner 🙂 definitely on the sweet side, so you may want to tone down the brown sugar, but it was very tasty the way we made it. Pecans went perfectly with the sprouts. For my go-to brussel sprouts I normally use pine nuts (although once I made with pistachios) so this was a nice change. Plus I loved using the same pan to have a great one-pot meal. Fast to make, Easy to clean up and Really yummy to eat! 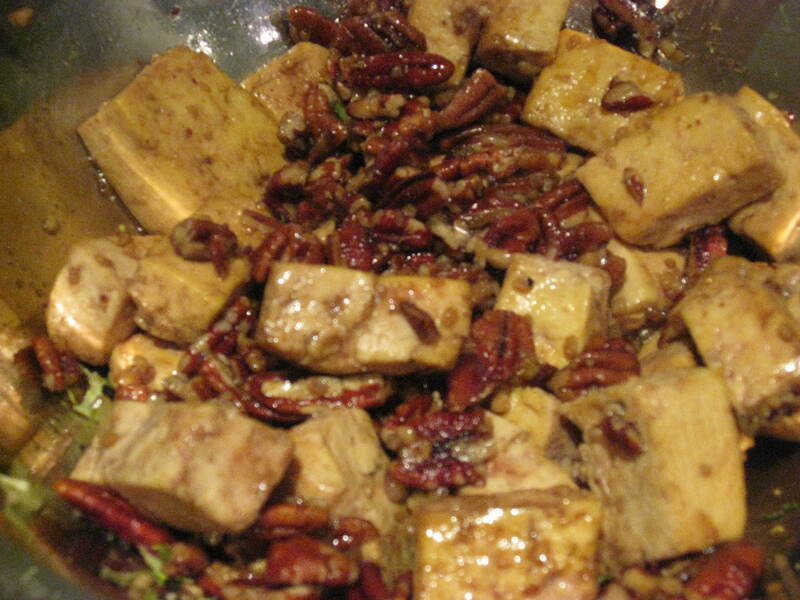 Cook the tofu cubes in large hot skillet with a bit of salt and a splash of oil. Saute until slightly golden, about 4 minutes. Add the garlic and pecans, and cook for another minute. Stir in sugar. Cook for another couple of minutes. 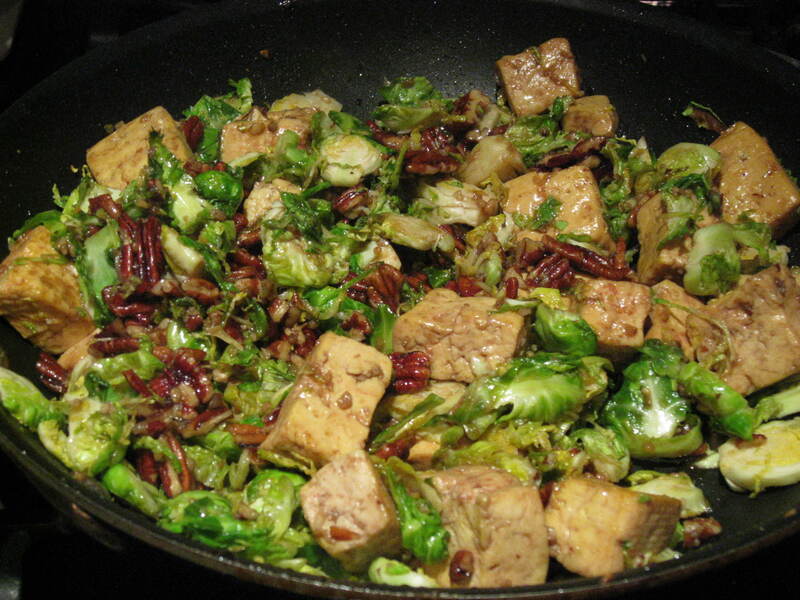 Scrape the tofu out onto a plate and set aside while you cook the brussels sprouts. 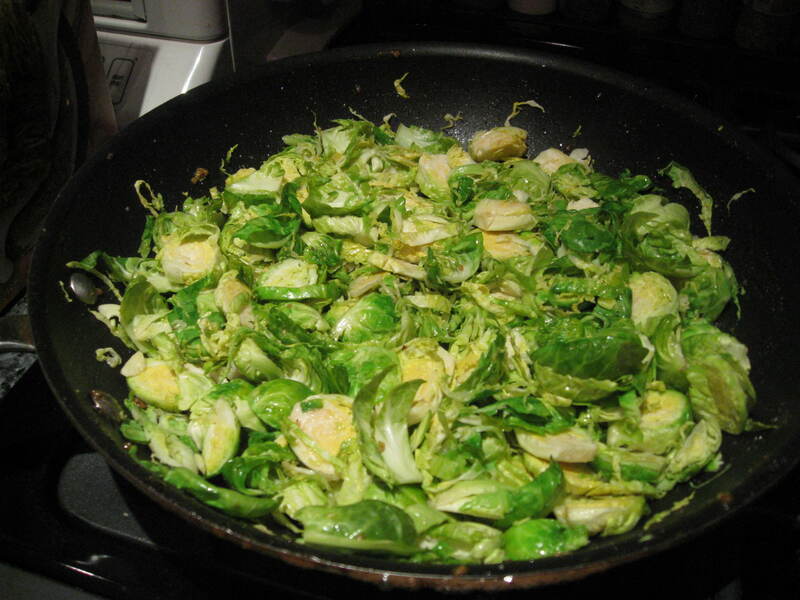 I love Brussel sprouts…this looks great! 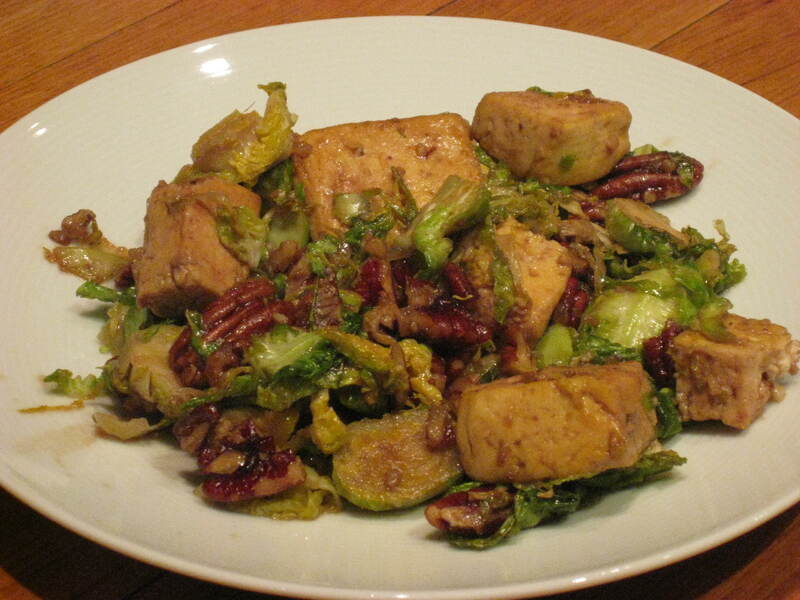 I tried this recipe and it was super yummy and a great way to incorporate Brussel Sprouts into our diet! My hubby and I noticed that the sprouts were pretty crunchy and not as soft as I would have thought…do you think I should have cooked them a bit longer?